Full Service Bar-B-Q Restaurant Take Out and Catering. 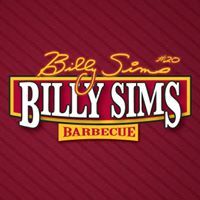 Visit our full service restaurant to experience great BBQ, and a friendly and relaxing atmosphere. Our many delicious choices of side and main dishes and appetizers make your taste buds happy! Featuring a hot grill for burgers; an old-fashioned ice cream fountain for cones, sundaes and shakes; and a Fresh Market grocery. At Cheddar’s Scratch Kitchen, we’ve been graciously serving made-from-scratch goodness since 1979. Our founders believed that when a meal is prepared and cooked fresh just for you, it not only tastes better, it makes you feel good. We use quality ingredients and take the time to prepare them in our kitchen. It’s the right way, not the easy way, because it tastes better that way. And really, isn’t that the point? Step aside, rules. There’s a better way to dine in Yukon, OK! Enjoy an Unlimited Buffet full of pizza, pasta, salad and dessert at Cicis, where we’re serving Yukon up with more 100% real cheese, more meat toppings and a garlic butter crust – all for one epically awesome price. Our pizza is made with fresh dough served fresh for you in Yukon every single day at the Unlimited Buffet. "Food so good, one man choking refused the Heimlich maneuver." Green Chile Kitchen Route 66 serves New Mexican inspired food focusing on the distinctive flavors and traditions of this unique region. We are dedicated to creating delicious and affordable dishes that are made from scratch. The Big Easy is a New Orleans Style restaurant the features Creole Food and Zydeco Music. We offer Daily Specials on some of the most traditional New Orleans dishes, such as Red Beans & Rice and Jambalaya. For those that may not care for food with NOLa flair, we offer a variety of Dinner Salads and Pastas. Our Place is also becoming quite well known for our Blackened Steaks! Come give one a try!